Filled with concept art, production designs, and storyboards. Art by Marc Davis, Ken Anderson, Mary Blair, Bill Peet, Kay Nielsen, Ferdinand Horvath, and many uncredited artists. From Steamboat Willie to Snow White and the Seven Dwarfs to Pocahontas, the Walt Disney Studio's contribution to the art of animation is unparalleled. Few Disney fans, however, are aware that the studio's archives contain a treasure trove of artwork for films that were planned but never completed. 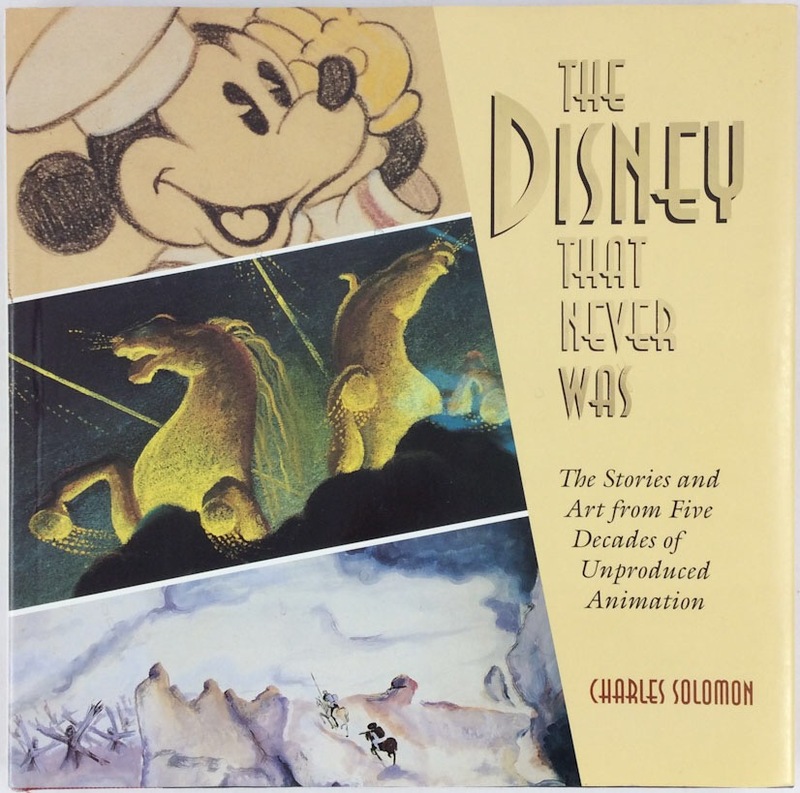 For the past several years noted animation historian and author of Enchanted Drawings, Charles Solomon, has gleaned the best of this material, which makes its first public appearance in The Disney that Never Was. Disney artists worked on many projects, both shorts and feature-length films, and their rich and varied work - whether in the form of concept art, animation drawings, storyboards, or gags - is a testament to the quality and innovation the studio achieved, even on unfinished projects. After a brief Introduction examining how the studio operated during Walt Disney's day, Solomon surveys the many categories of uncompleted film, illustrating each with beautiful examples of work by the staff artists: Mickey, Donald, and Goofy shorts; Fairy Tale Projects like Hans Christian Andersen tales and the ambitious feature Chanticleer and Reynard; wartime propaganda films; early versions of Fantasia, and later efforts to expand elements of the film; and projects ranging from Hiawatha to Destino, a fantastic and unlikely collaboration between Disney and Salvador Dali. The Disney That Never Was is a long-awaited and unprecedented look behind the scenes at the creative processes of the Disney studio, and a magnificent collection of animation art.